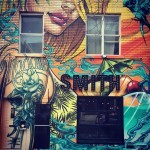 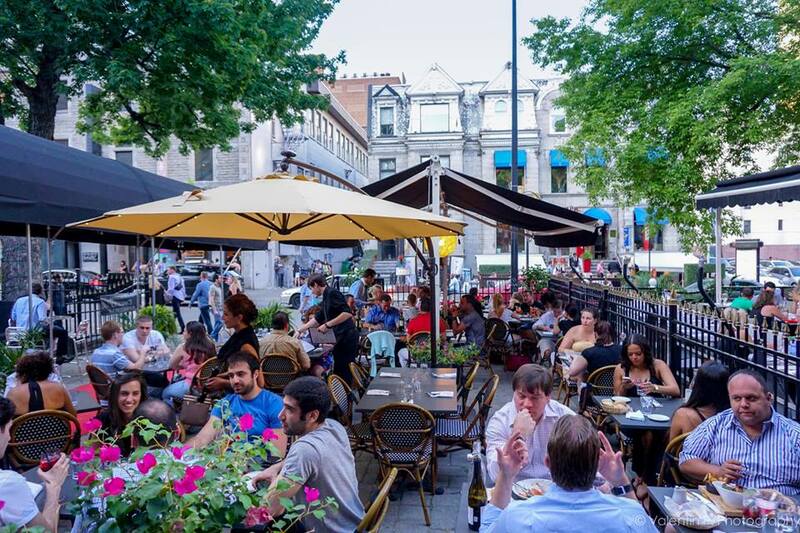 When in Montreal, do like the Parisians. 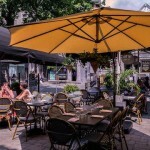 Bisto Le CinQ is a wonderful replica of a bistro in Paris. 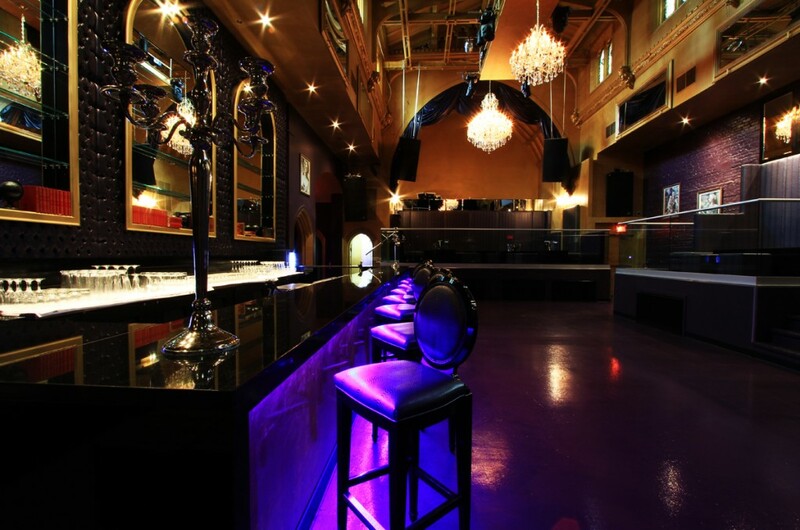 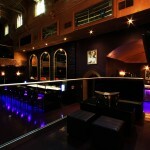 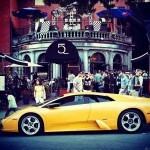 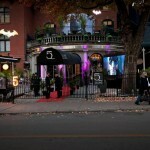 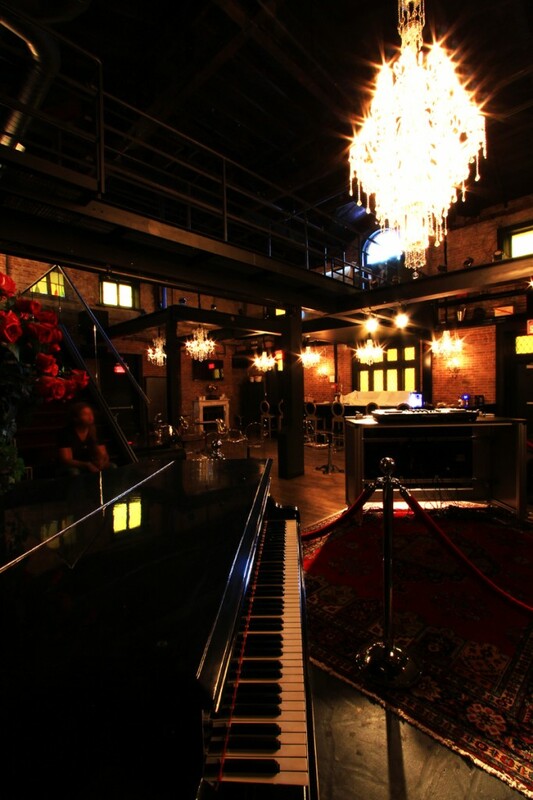 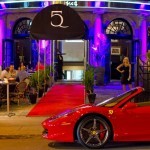 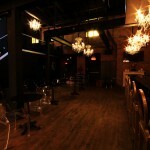 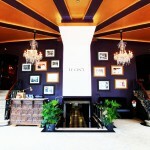 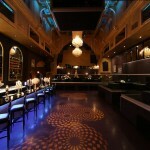 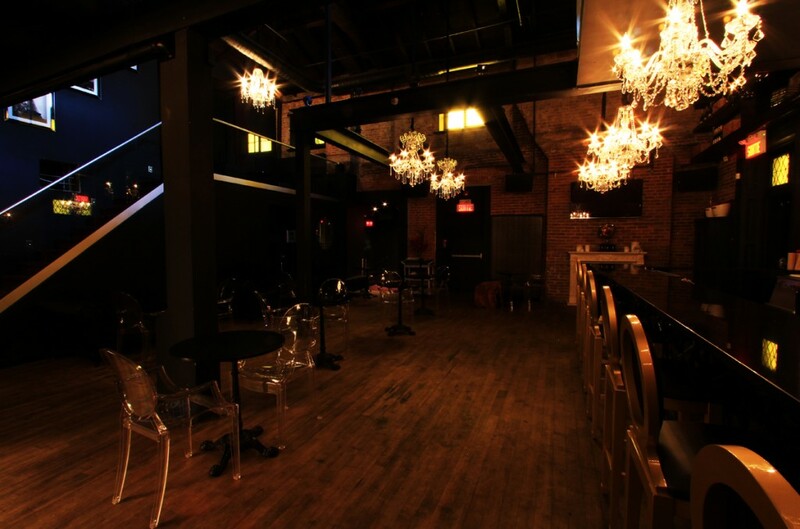 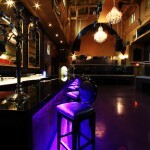 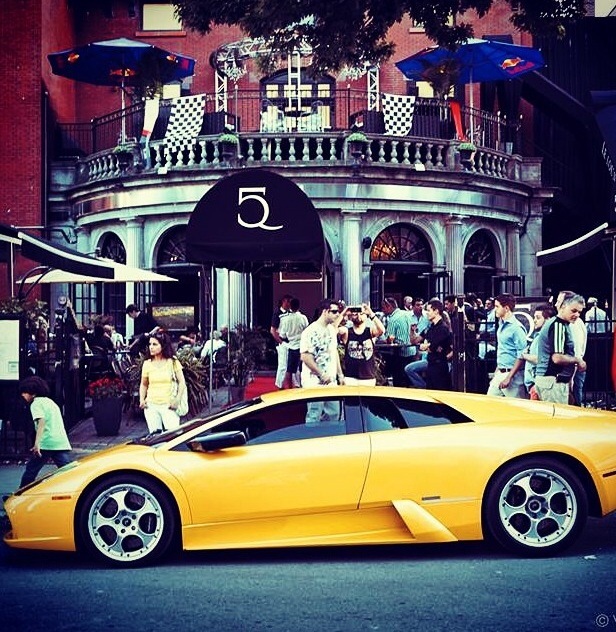 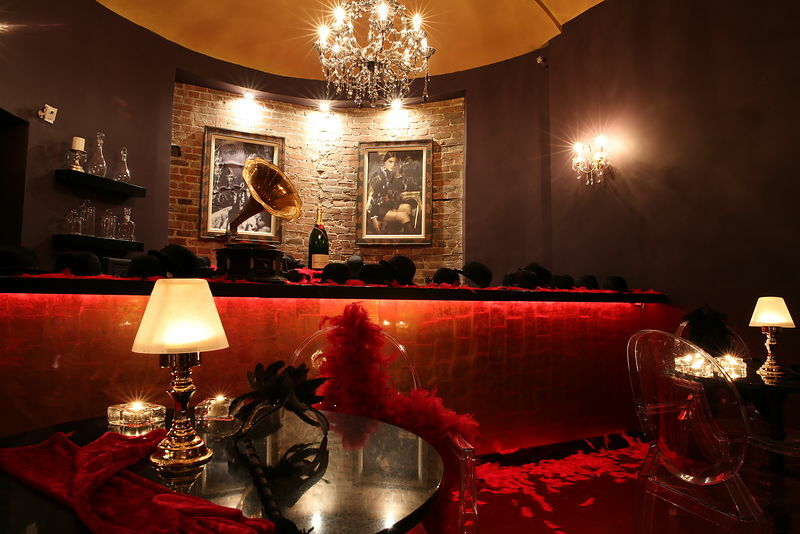 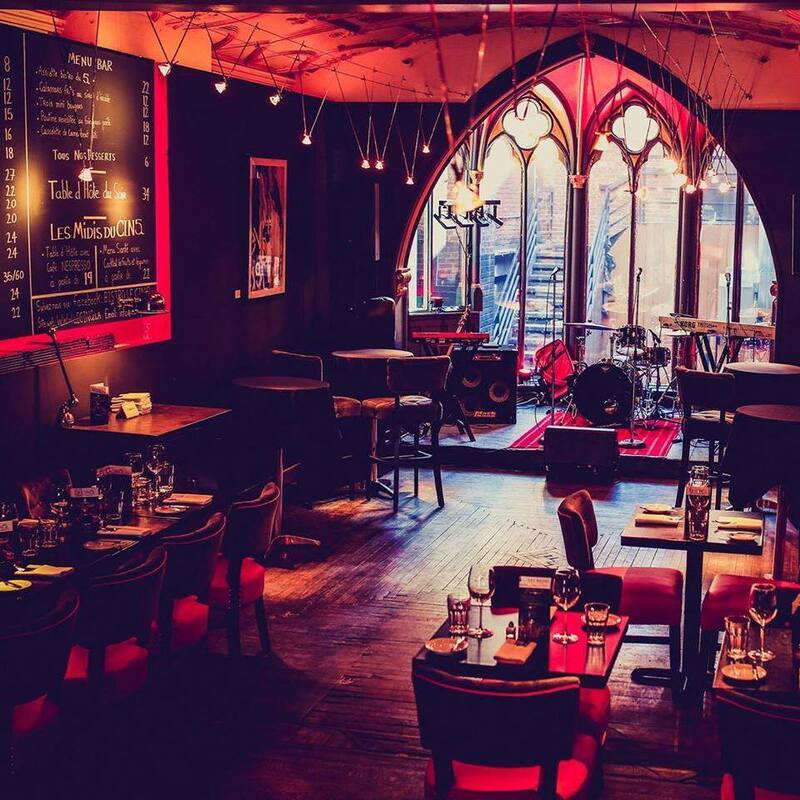 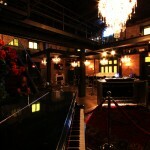 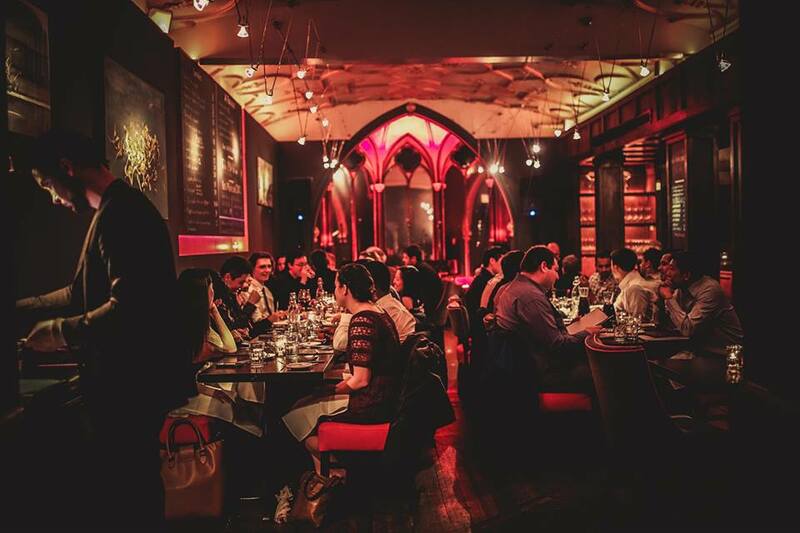 Located in downtown Montreal, Le CinQ took over the famed 1234 nightclub. 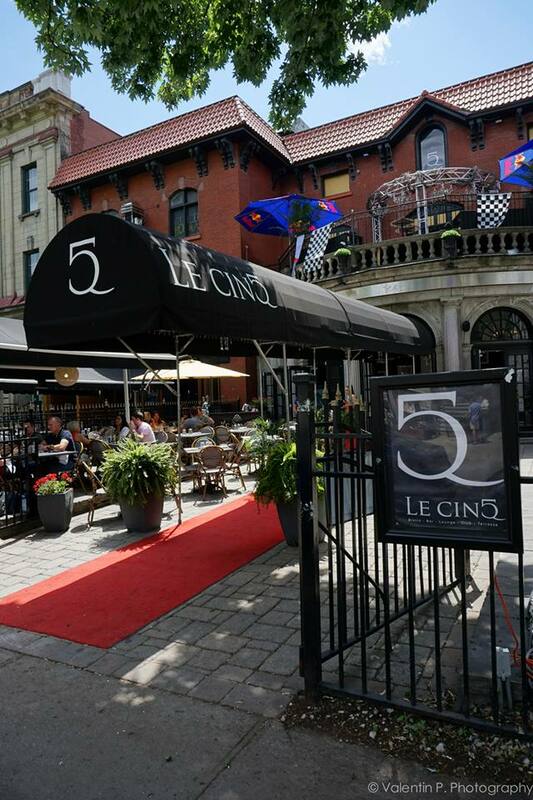 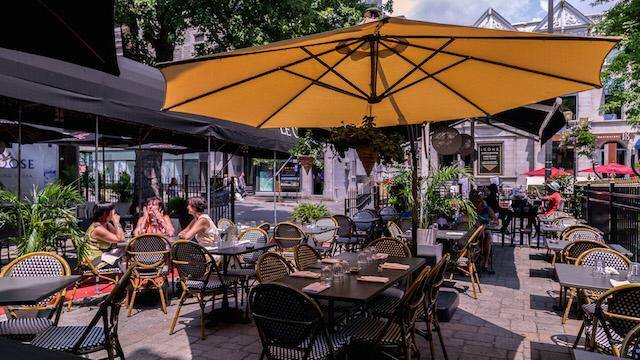 Le CinQ has both indoor and outdoor seating. 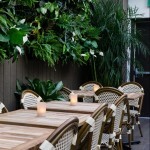 The terrace resembles the cafés in Paris: an intimate seating area, with wooden, woven chairs. 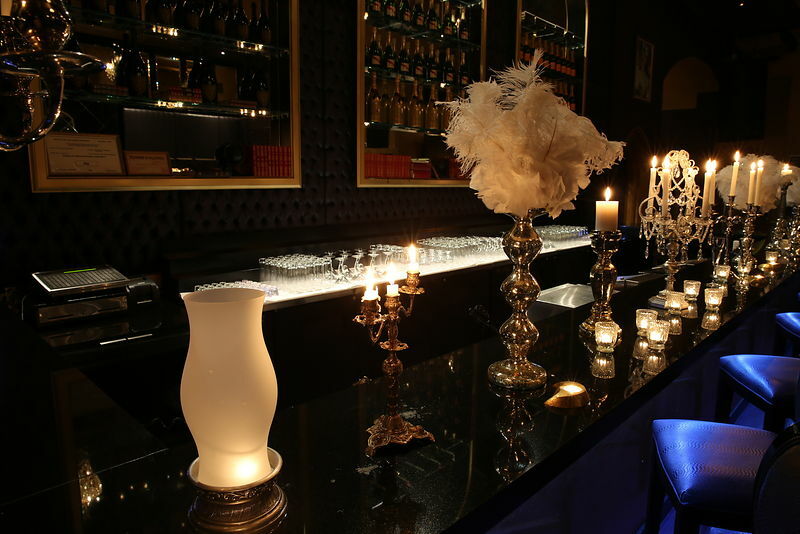 Decorated with chandeliers, it is a great option for a nice summer night, a date, or drinks and nibbles with a few friends. 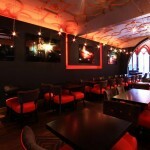 Indoors, the ambiance is set with red lighting. 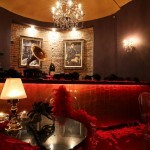 The décor is a red and black motif with velvet couches that ooze comfort. 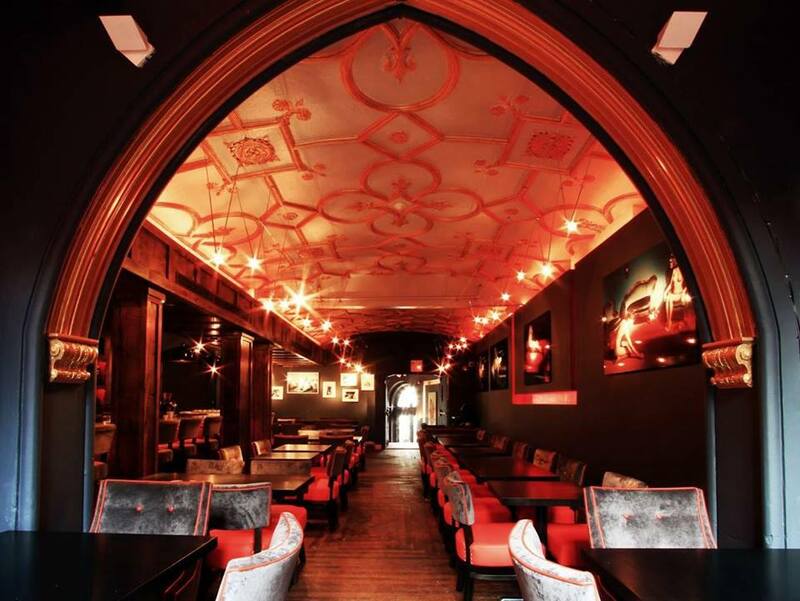 The ceiling is reminiscent of French royalty apartments, with beautiful gold and blue details. 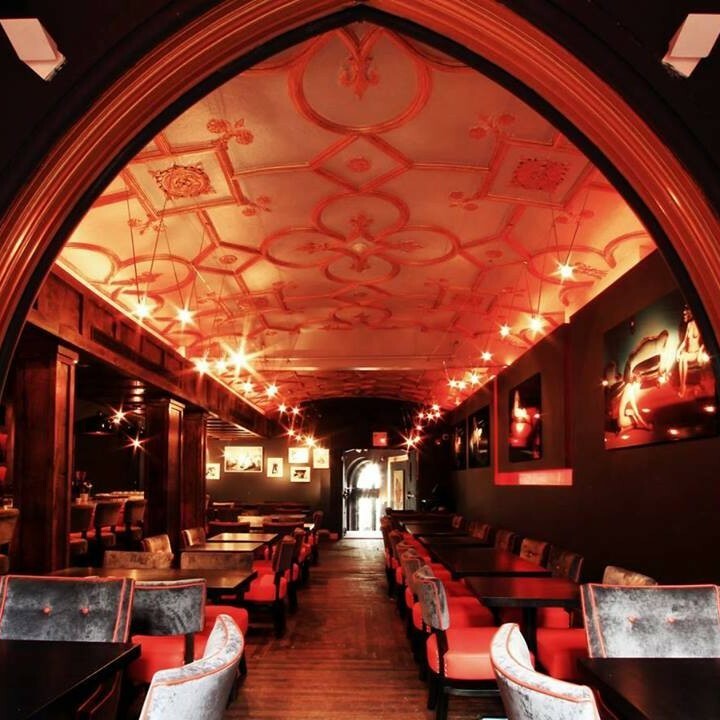 You’ll feel like you’re in an ancient manor, which is in fact what the building itself was meant to be. 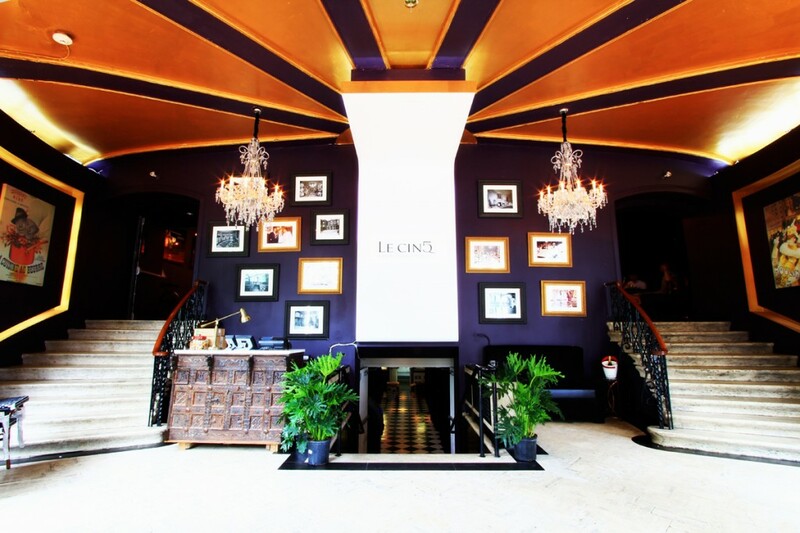 Le CinQ is really a one-stop spot. 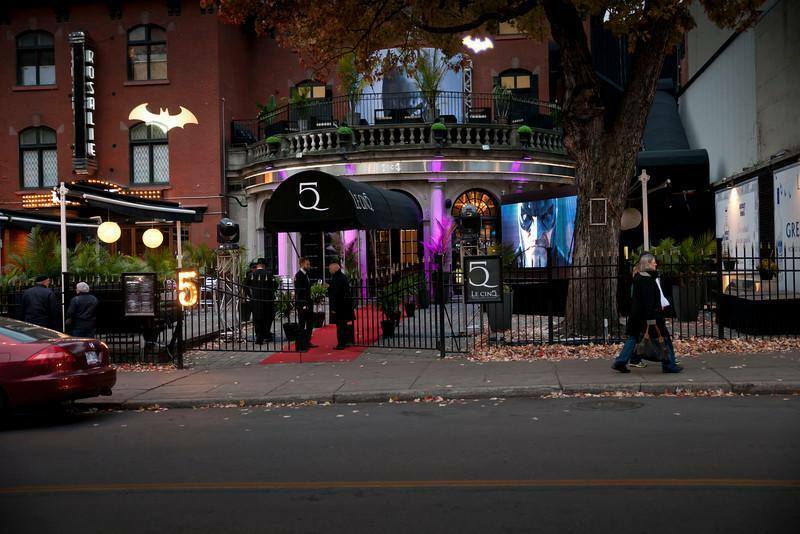 Besides being a bistro and a bar, there is also the Le CinQ nightclub, which took over 1234 nightclub. 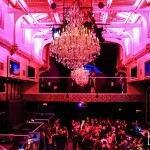 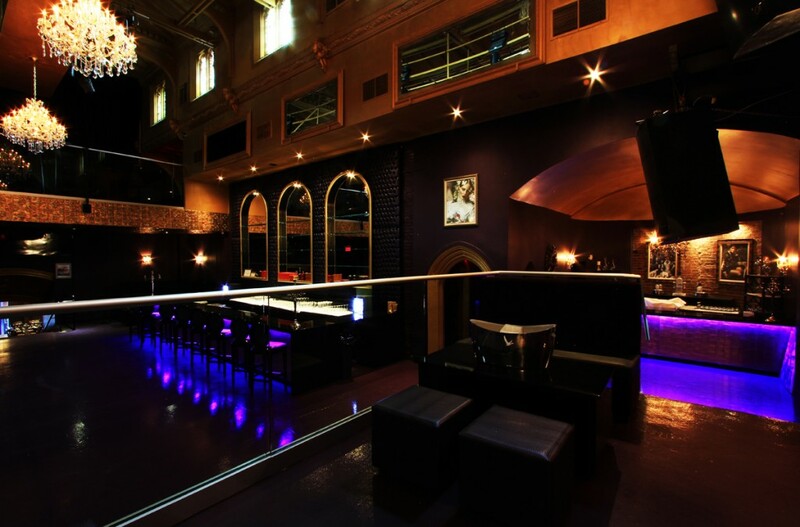 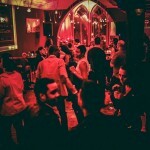 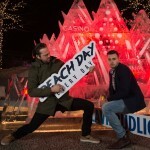 They are one of the only clubs that have two different rooms, on two opulently decorated floors, playing different music so that they can cater to all of their clientele. 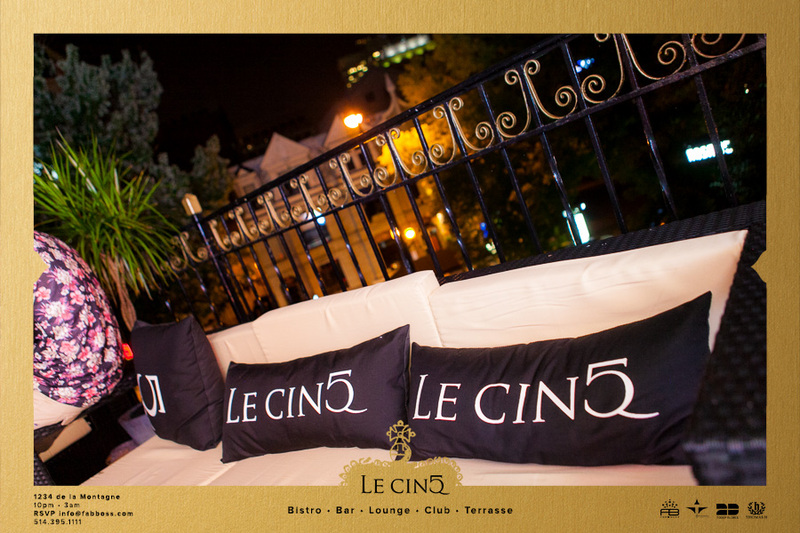 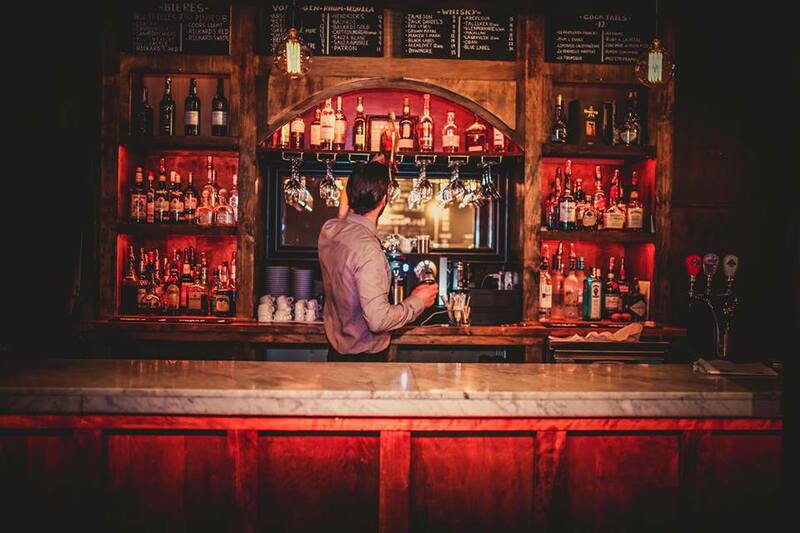 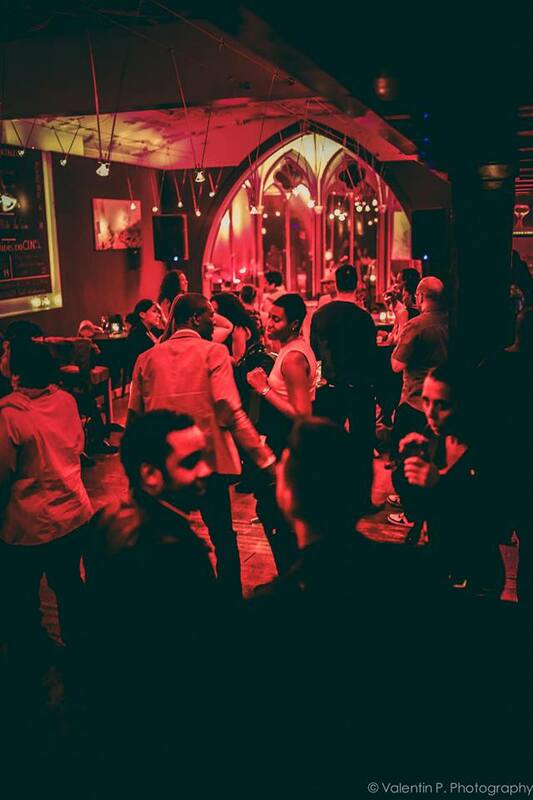 Whether you like house music or hip hop, Le CinQ‘s DJs have you covered. 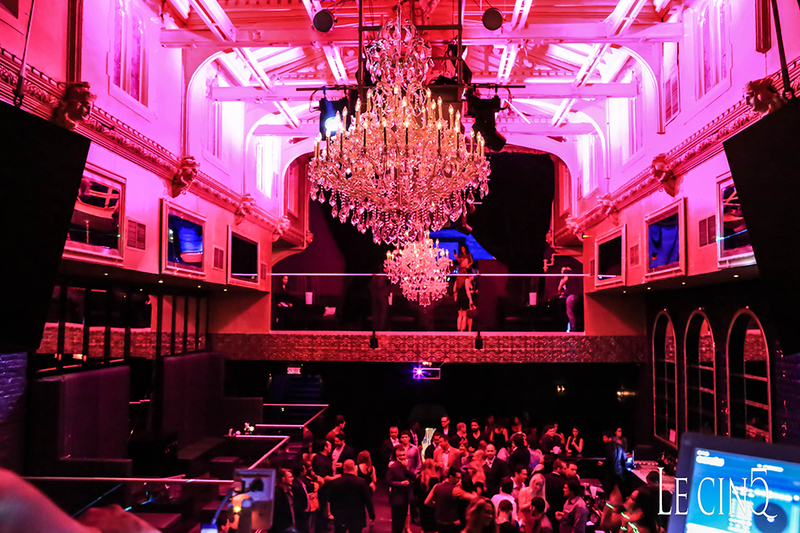 What’s better than pre-gaming with your friends on a Saturday night for dinner and drinks, and then just walking over to the club without ever having to change location? 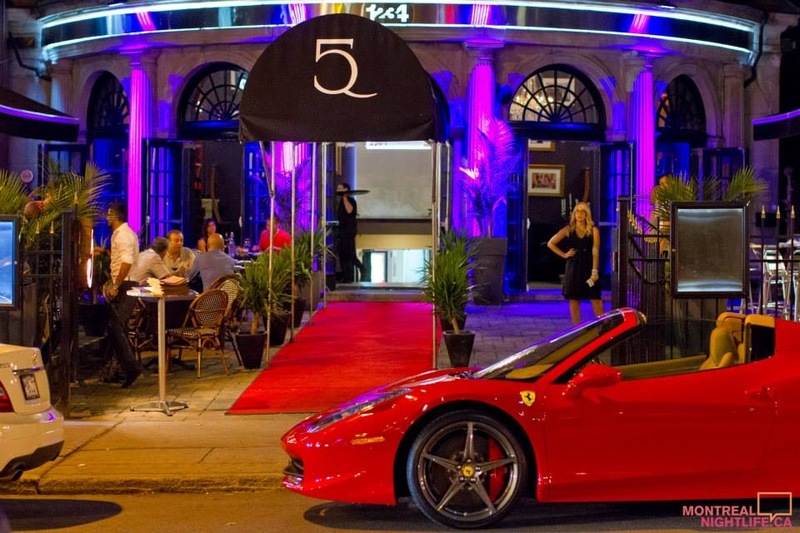 Saturday nights are Le CinQ nightclub’s happening night, so make sure you add it to your evening’s itinerary. 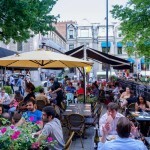 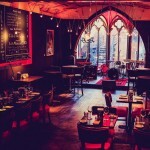 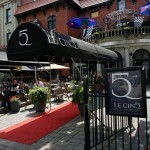 Besides the French flare (including the waiters, who all seem to be from Paris), what does Bistro Le CinQ have to offer? 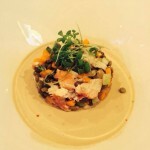 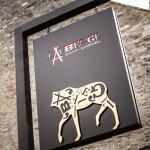 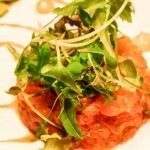 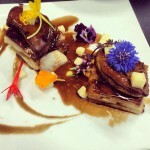 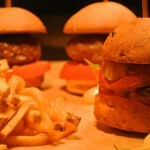 The menu is comprised of both sophisticated and casual dishes. 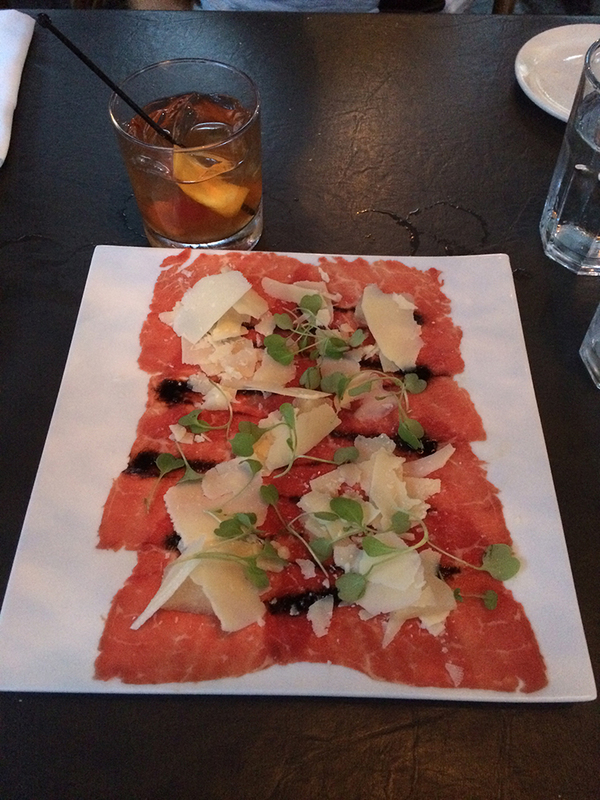 For a fresh and light starter, the Tenderized Wagyu Beef Carpaccio ($16) is a perfect choice. 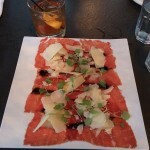 Served with marinated pear, Parmesan and balsamic vinaigrette, it is a perfect combination of salty and sweet. 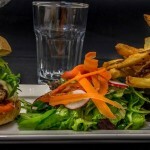 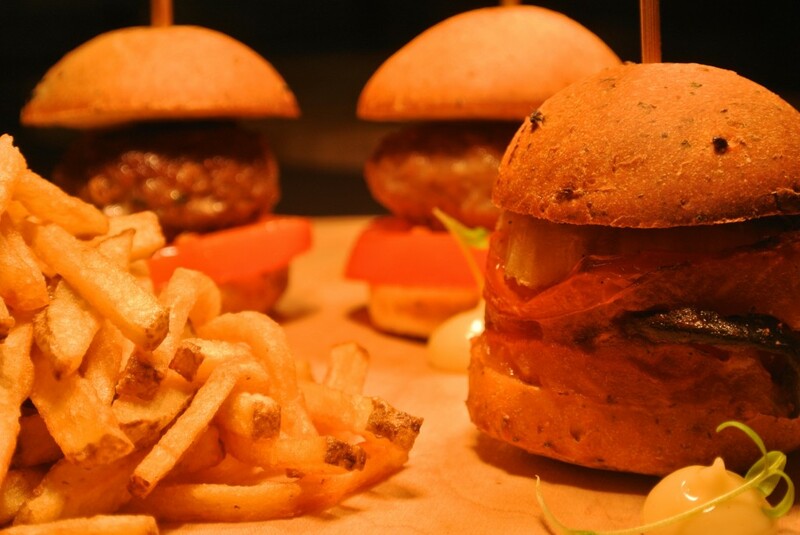 There is also the option of choosing from their bar menu, which is a list of smaller fun dishes, like mini burgers, calamari, fish and chips, and tartare. 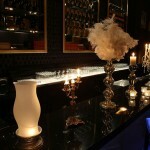 For dessert, the options are tantalizing. 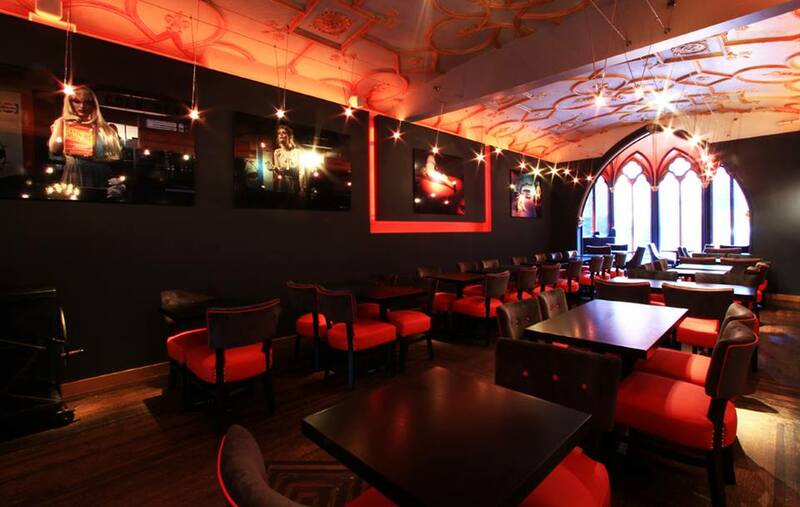 Chocolate lovers, listen up: the Juste Chocolat ($8) is your only choice. 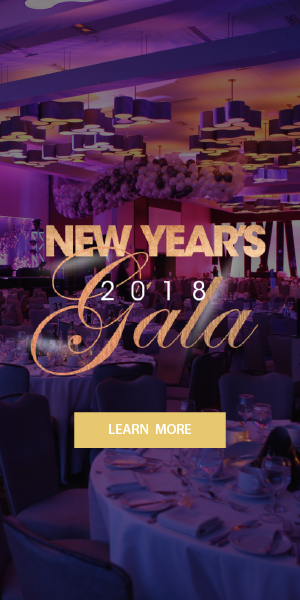 A small ball of chocolate heaven, this dessert is made up of a chocolate mousse atop a cacao cookie, filled with creamy chocolate and topped with white chocolate shavings. 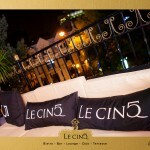 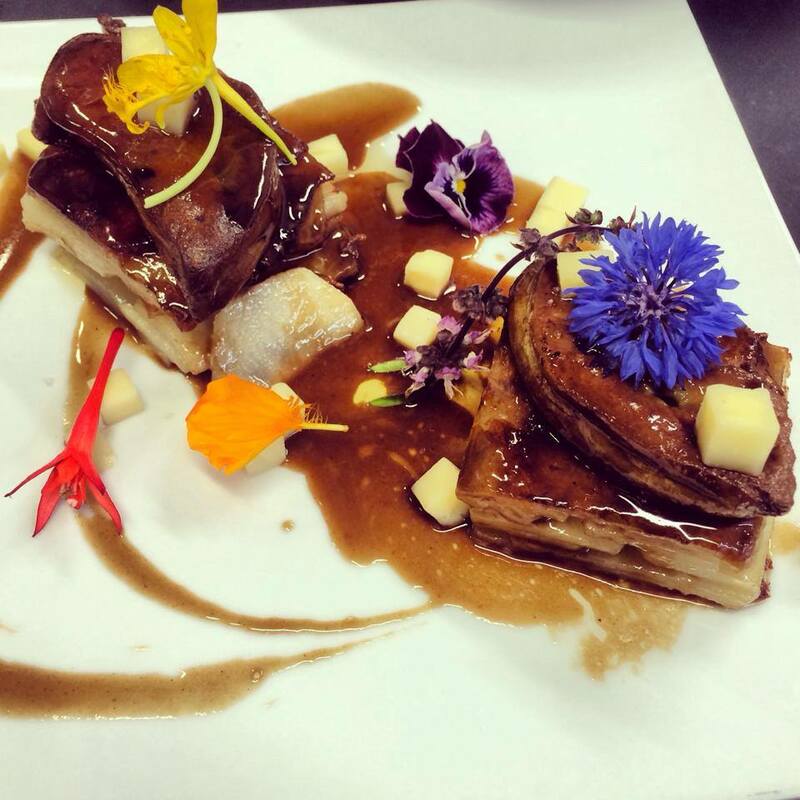 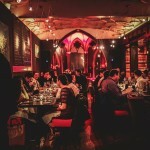 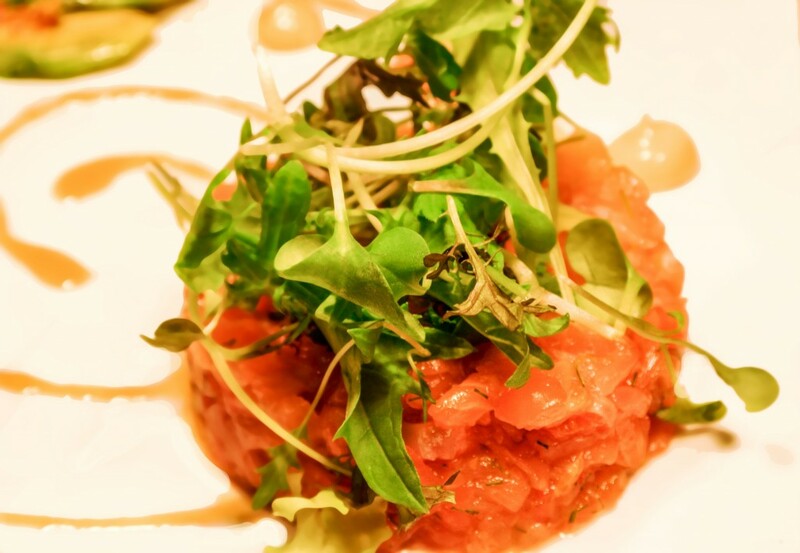 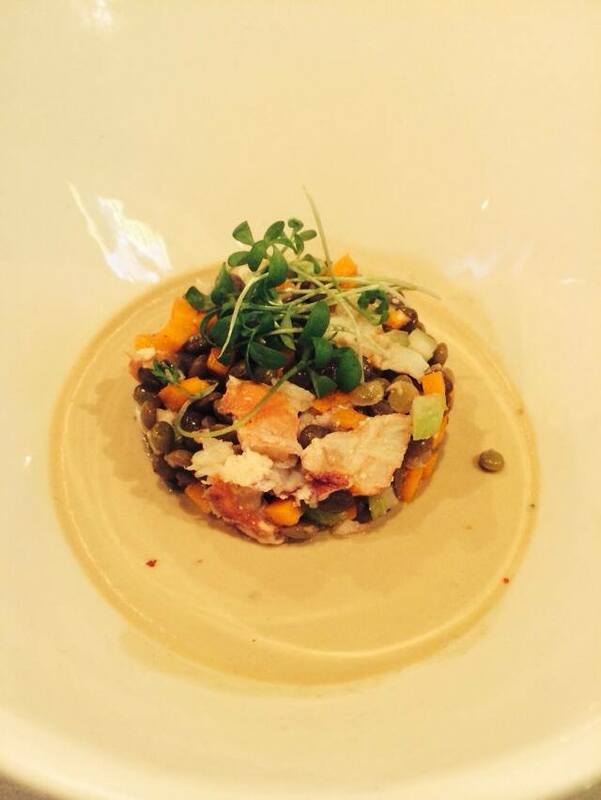 Whether you are considering a classy, casual, intimate, or group dinner, Bistro Le CinQ can accommodate you. 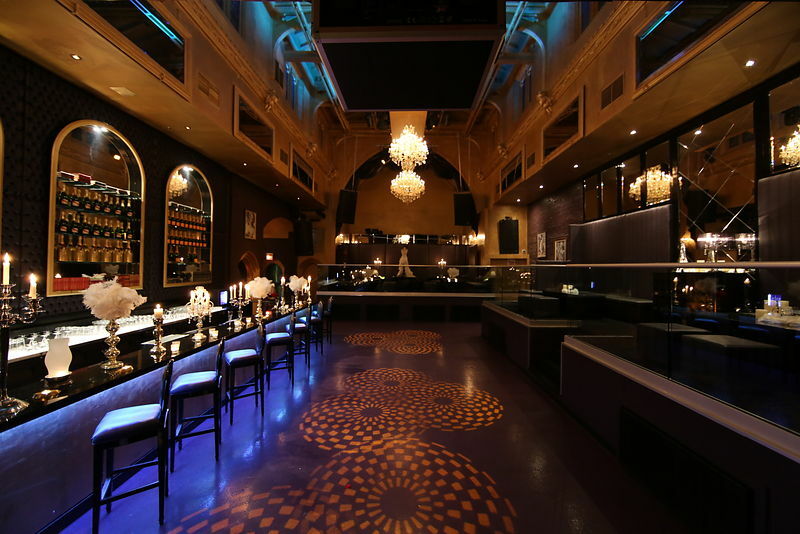 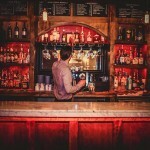 With satisfaction guaranteed, you’ll have an amazing experience from dinner to drinks.